The perfect companion for lighthouse buffs, this comprehensible and travel-friendly full-color field guide covers over 150 lighthouses on the West Coast, including Alaska, Hawaii, and Canada! For centuries the lighthouses of the West Coast have played a key role in the maritime history and lore of the nation. From majestic structures to the smallest treasure, these beacons have guided ships safely for countless years and endeared themselves to lighthouse fans everywhere. 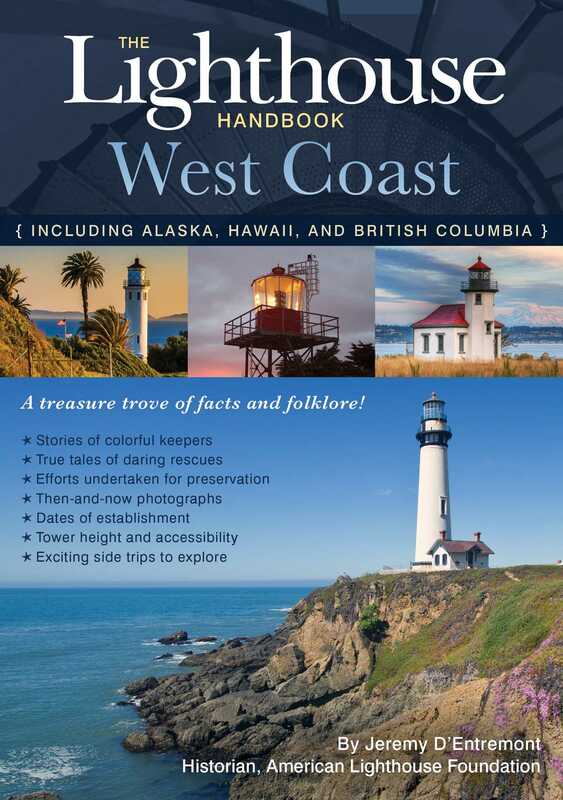 This definitive handbook features beautiful full-color photographs, highly regarded directions and contact information for each light, and complete articles on every existing lighthouse on the West Coast!